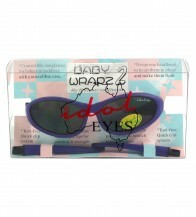 Baby Wrapz 2, the world's first convertible babies sunglasses manufactured by Idol Eyes allowing easy tool free conversion from headband to temple tips (arms) with unique quick clip system. 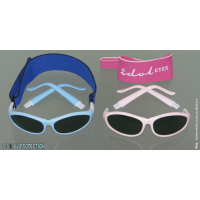 The lens used gives 100% UV protection and is impact resistant in case of falls. 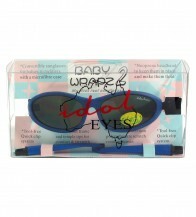 Suitable from birth up to approximately 5 years of age. Baby Wrapz 2, the world's first convertible babies sunglasses allowing easy tool free conversion ..